We review the Sony “smart” / streaming DVD players including HD (1080p), Blue-Ray, 4K Ultra High-Definition resolution (2160p) “UHD”, and the standard player starting under $50. On this list are the UBP-X800, UBP-X700, BDP-S3700, DVP-SR510H and UBP-X1000ES. This is the first in our series of DVD players matched to television brands. Next up are LG, Vizio, JVC, Panasonic and others. Choosing the player that is same brand as your TV gives you a lot of benefits. Since they are from the same manufacturer, they often talk the same language. “One Touch” operation is usually the best feature. Being able to use the same remote for both the DVD player and the TV is wonderful. The Sony UBP-X800 4K Ultra HD Blu-ray Player (around $250) is a full feature DVD player that supports the most popular video and audio file formats, including High-Resolution Audio. This was released in 2017, and we think is still the best feature set for the price. Three things you’ll like: Bluetooth Audio, 4K Ultra HD resolution, MiraCast Screen Mirroring. In addition to standard DVDs, and Blue-Ray DVDs, you can play 4K Ultra HD movies as well as stream in 4K HDR (High Dynamic Range). Let’s look at each of these in a little more detail. Video: You can play DVDs, and stream content, in their native formats – Standard, HD, Blue-Ray and 4K Ultra HD. This includes 24p True Cinema, HDR → SDR converter, Deep Color (12bit), 4K Upscale (60p). The player will also up-scale / up-convert the content to the highest available resolution so that you always get the best picture experience. Sony supports the “HDR” video standards rather than DolbyVision (“DV”). This isn’t really an issue since all Ultra High Definition (“UHD”) disks which are coming out with DolbyVision will also be encoded with HDR10. So you will still enjoy high dynamic range color regardless of whether your player is HDR or DV compliant. The UBP-X800 relies on HDR10. An HDR10 signal contains up to 100x the brightness of a standard definition resolution (SDR) signal, massively increasing peak brightness while retaining deep and highly-detailed blacks, for an entirely new viewing experience. This bring scenes to life with striking highlights, deeper darks, and vibrant colors. Audio: In addition to the standard HDMI port for audio / video out, the UBP-X800 has a second HDMI audio only output. You can connect this to any device that supports HDMI audio input, like a sound-bar or A/V receiver for a richer high resolution audio immersion. Dolby Atmos and DTS:X use object-based sound implementations codecs, the same as favored by cinemas and movie theaters. With full 7.1 channel support, you can configure your room for optimum audio. For your audio CDs, iTunes Library, tracks stored on a USB Flash Drive, and streaming music you’ll get a new appreciation for your audio with “DSEE HX” upscaling. The Digital Sound Engine Enhancement up-scales / up-converts the frequency and dynamic range of MP3s and other compressed music to near high-resolution quality, so you can get the full experience of the original recording. USB: You can play movies, slideshows and audio using the USB port. WiFi: Another option for getting content is through the various streaming apps, with over 300 of the most popular all ready pre-loaded. You can also stream movies, pictures and audio from your home server or personal cloud. All of your content is now available for viewing / listening. The UBP-X800 has built in dual-band (2.4 GHz, 5 GHz) MIMO (Multiple Input Multiple Output) antenna technology, for a strong signal even at the edges of your WiFi range. Bluetooth: Simultaneous HDMI and Bluetooth audio transmission. Enjoy total clarity for dialog and soundtracks, near or far away. The UBP-X800 can send audio to your TV via HDMI, and to a wireless speaker, sound bar, bass unit, over Bluetooth, at the same time. Sony developed “LDAC” technology to transmit 3x the data (up to 990 kbit/s at 24bit/96khz) of normal Bluetooth, for high-quality sound. Bluetooth wireless audio can also be used for private listening, a useful feature for enjoying you movies and music when everyone else is sleeping. Or simply use it toamplify the effect of every cinematic moment when you watch privately. With the UBP-X800 supported Bluetooth audio transmission, you can use your favorite Bluetooth headphones for private viewing without wires. Other Features: Sony | Music Center (previously called SongPal) app, for a fast, full-quality wireless listening experience from your smartphone, mobile or tablet. Screen mirroring with Wi-Fi Miracast. Use your tablet or smartphone (Android or iOS) to control your player, and learn more about what you’re watching, with the Video and TV SideView app. The Sony UBP-X700 4K Ultra HD Blu-ray Player (around $180) is the 2018 update to the X800, and has many of the same features. It’s easier to list the differences: The price is about $50 less and the Bluetooth is eliminated. The box is almost 4 inches narrower, at 15 x 12 x 4 inches. This was achieved by moving the internal power supply to a “wall-wart” / power converter at the plug end (Some people don’t like this since it takes more space on their surge protection strip). Otherwise, all the great features of the UBP-X800 are found in the X700. The Sony BDPS3700 Streaming Blu-Ray Disc Player with Wi-Fi (typically under $75) debuted in 2016 as one of the top rated “smart” DVD players. It supports full HD 1080p and Blu-Ray playback, and will up-convert lower quality media / streaming to near HD quality. It doesn’t do 4K. Three things you’ll like: The $75 price, The small size, Sideview App to turn smartphone into controller. Video: Supports most file formats and standards, with the exception of 4K UHD. Standard Definition, Full HD 1080p, Blu-Ray disc playback when connect via HDMI on a compatible TV. The up-scaling chip also improves the quality of online content, and up-converts DVD’s to near HD quality for an improved viewing experience. Audio: Premium sound quality. Enjoy all the fine detail of the original recording in clear, high-fidelity surround sound with Dolby TrueHD and DTS-HD. USB: Enjoy your videos, photos and digital music with USB on the front of the unit. With USB plug and play, just plug your USB drive into the port to share songs, photos, and multimedia content with your TV. WiFi: Built-in WiFi (2.4 GHz) and MIMO (Multiple Input Multiple Output) technology. Other Features: Screen Mirroring lets you view your Android mobile devices’ content on your TV with Miracast screen mirroring technology; DLNA (Digital Living Network Alliance) home sharing allows you to share multimedia content across all supported devices in your home. This makes it easier to stream and transfer your favorite music, films, and pictures between your DLNA-supported devices, including TVs, PCs, portable servers, personal cloud storage and gaming consoles. The Sony DVPSR510H DVD Player (Upscaling) (around $40), released in 2012 is still one of the top rated basic DVD players. 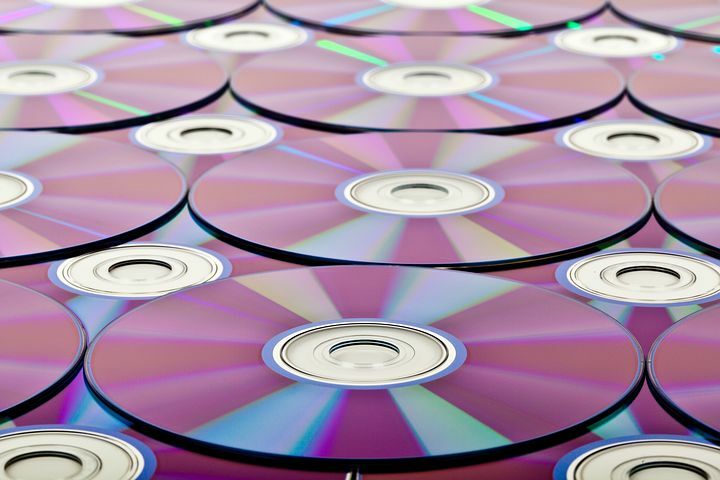 The1080p up-scaling will boost the quality of your DVD collection to near to Full HD. Connect with HDMI for Dolby Digital Audio with 5.1 channel surround sound. While you don’t get 4K, Blu-Ray or Streaming, it does have an “Instant Replay” feature to jump the video back by 10 seconds, and it has “Multi-Disc Resume” to remember where you were on the DVD for the last 6 that had been played. It’s a compact 10 x 8.3 x 1.3 inches. The Sony UBPX1000ES 4K Ultra HD Blu-Ray Disc Player (around $498) has everything the other players have, and adds in cloud support. You get a more immersive experience with 4K HDR playback, Dolby Atmos 3D surround sound and a design that’s optimized for custom home theater installations. Built for optimum video and audio performance, this universal player enhances playback on non-HDR TVs with HDR to SDR conversion, grants access to the latest 4K HDR streaming services, and supports playback of almost any disc or file format including Hi-Res Audio.